Paper bag pants: A pair of pants that has the relaxed vibe of comfy joggers but a little more dressed up. So, I’ve been wearing a pair of paper bag pants without really knowing they’re called paper bag in style or if they’re in fashion. Not that the latter is that important. As I’ve said, trends are best approached as guidelines and if you feel that a specific trend looks horrendous on you, chuck it away! Now, back to the topic of the pants with paper bag waist: The first time I took notice of this pants’ style was two years back. I failed to notice anything about it that resembled a paper bag, until just this year. 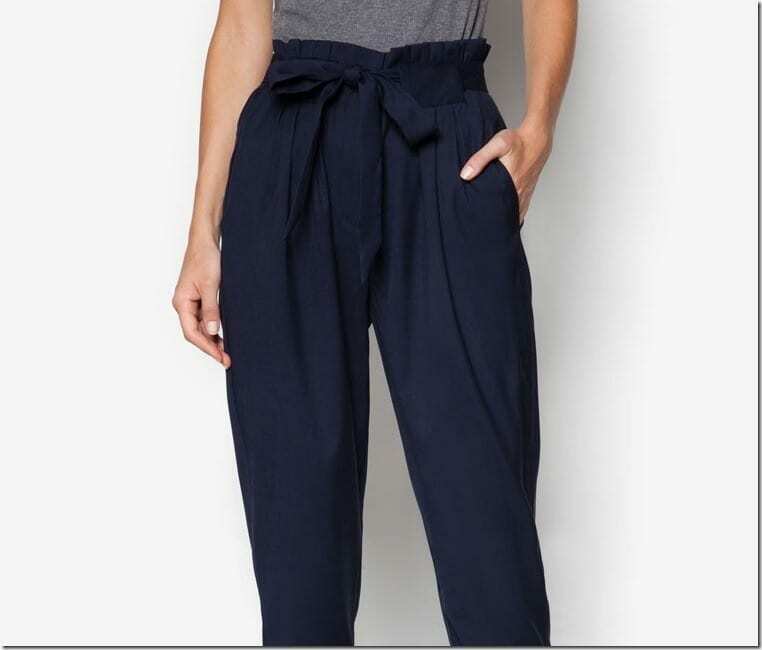 Upon googling for solid definitions of these pants, I finally figured it out at a casual snail pace. The waist line above where the pants cinch – it is made to look scrunched up and sometimes, there will be a self-tie feature that can make have that ribbon effect or more practically, tie your pants up if the cinch ain’t doing its job and this is why they’re called paper bag. 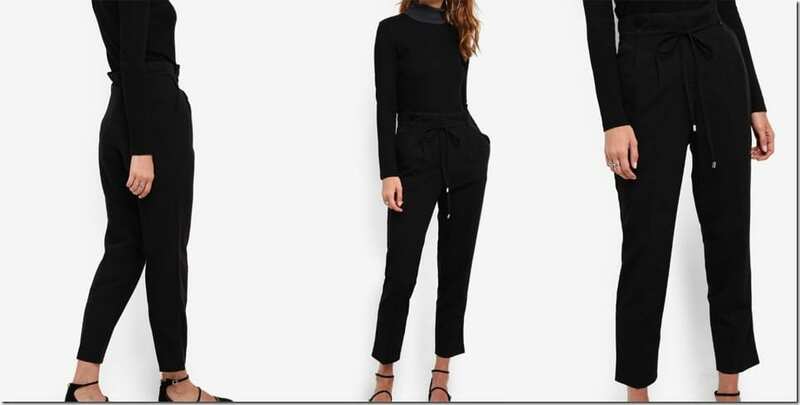 So, with the waist drama going on, naturally this style of pants will add volume to your middle and if you’re no fan of adding stuff to your bloated middle like I do some days of the month, then reserve the paper bag trousers for days when you stomach looks fairly toned. 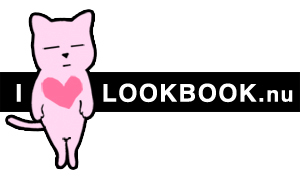 A fitted top of a crop top variety or a normal top that can be tucked into the pants would be the best choice when you’re wearing pants that have this paper bag waist. This is because you want to show off all the scrunchy detailing going on there and also, reveal that you’ve got a fit curve (which I failed gloriously when I styled mine with a knit mini dress one fine evening). 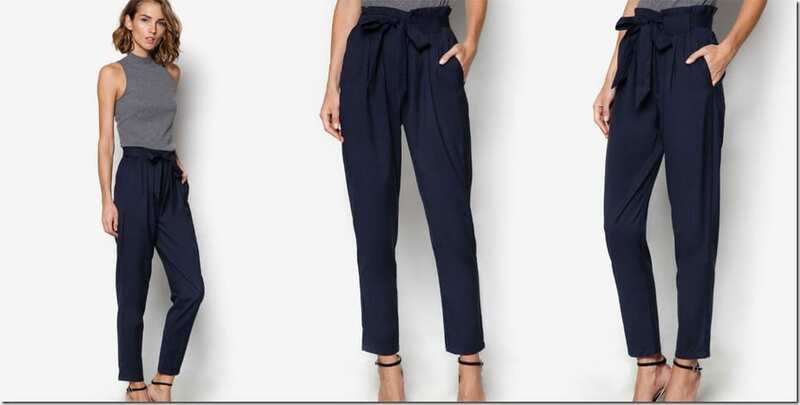 So, ladies: If you’re aiming to spruce up the collection of pants you have in your wardrobe, perhaps, you will want to consider these paper bag waist pants. The reason why I personally gravitated to them in the first place because of the pants’ loose construction and high-waist. 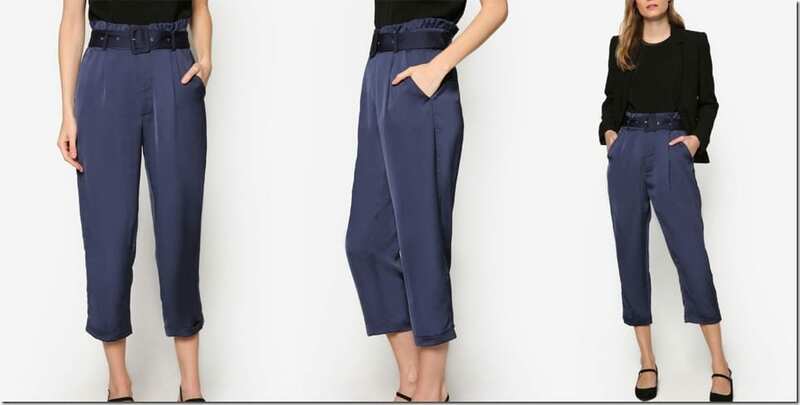 Also, like joggers with the self-tie waist, the paper bag pants seem to be a more dressy version of the sporty bottom. Which pair of paper bag pants would you wear? Share below – I’d love to know!